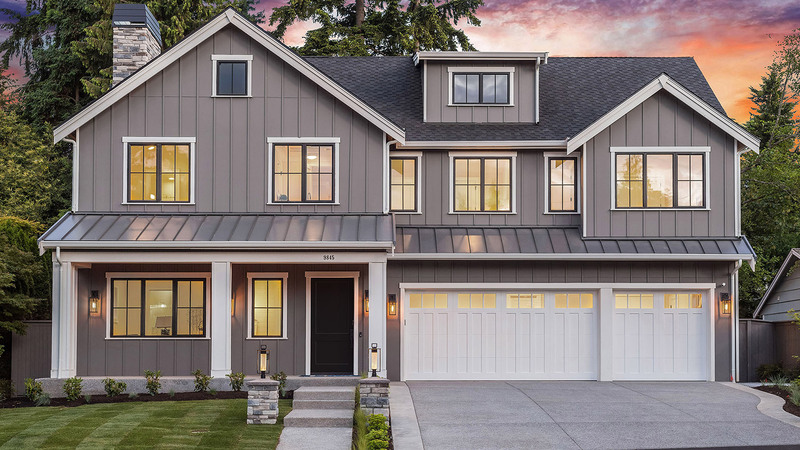 Introducing a fresh new farmhouse design located in sought-after West Bellevue. This new luxury home features 4 bedroom suites plus a den. The chef’s kitchen is equipped with professional grade appliances and features a 10’ center island. The expansive covered outdoor room is designed for year-round entertaining, featuring heaters, a fireplace, TV, BBQ. The flexible open-concept floor plan is tailored for modern living, featuring a large great room that flows seamlessly into the kitchen and outdoor room. This state of the art home also features an electric vehicle charging station in the 3-car garage.